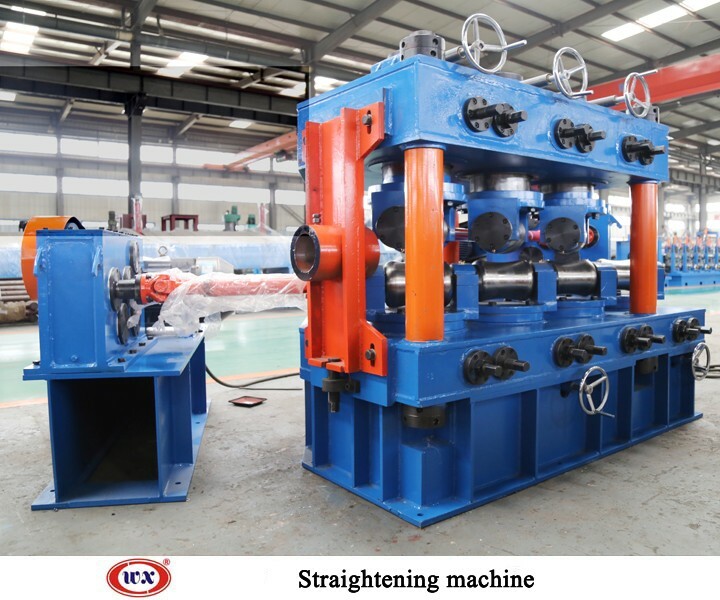 Straightening machine is one of the main machines for ERW pipe mill, which mainly eliminates stress after welding, corrects bending and clears pipe ovality. The machine adopts 6 rollers or 7 rollers(with 4 up 2 down or 3 up 4 down). Wanxin can product various models from Φ32mm to Φ325mm. The machine adopts column frame structure, consists of upper beam, lower base, stand column, press worm-gear case, upper and lower roller base, straightening roller, motor, reducer case, drive shaft and vernier device of straightening roll etc.